On the 15th anniversary of his death, three of the south-west’s leading mod-influenced bands are holding a Steve Marriott charity gig in commemoration and to to raise funds for charity. The bands featured are Roundabout (original numbers and mod covers), Going Underground (60s, ska and new wave) plus Carnaby Street (playing the music of the Small Faces). It will be held at the Fizz Bar, The Bridge, Chippenham on Thursday 20th April at 8pm. Admission is £5 and all proceeds will go to Kenney Jones’ "Small Faces All Children’s Charity". For more information, visit www.specialgig.co.uk or email [email protected]. 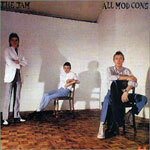 The Jam’s All Mod Cons is being to be expanded and reissued, featuring extra tracks and a DVD. 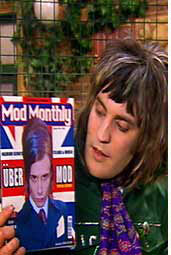 A second disc will be included with the album – a DVD of the making of All Mod Cons. Directed by Don Letts, the 40-minute film features new interviews, live footage and promo clips. The album will be reissued on June 5th. 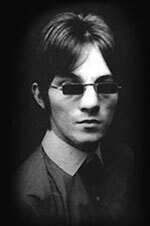 I’ve lost count how many times the Small Faces’ Ogdens’ Nut Gone Flake has been reissued. Let’s just settle for ‘many’. Anyway, it’s back again, this time in a metal tin and over 3 discs on June 5th 2006. Still seen as the band’s seminal album (though personally I prefer the earlier ‘beat’ stuff), you probably know it was one of the first ‘concept’ albums, it featured British eccentric Stanley Unwin and came in a sleeve that can still turn heads in a rare record shops today. The 3 disc edition features the stereo mix, a companion mono version (previously unavailable on CD), plus a further CD of BBC Radio 1’s ‘Classic Albums’ documentary on the making of the album, which was originally transmitted in 1989. This final disc features interviews with all four band members – Steve Marriott, Ronnie Lane, Ian McLagan and drummer Kenney Jones. It should sell for around £11.99. If you haven’t discovered YouTube yet, you really should. All you need is a fairly fast internet connection to browse and view thousands of videos uploaded by folk from all over the world. And because the userbase is so random, so are the clips. To emphasise how random, we’re kicking off our new YouTube Clip Of The Week section with something odd and a little bit mod! Do you know any good clips from YouTube? Please let us know. Yes, you read it right – after flogging this particular dead horse for several years longer than was healthy, Only Fools and Horses writer John Sullivan has gone the other way and created a prequel show about the early days of Del and Rodney. 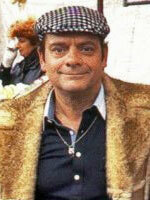 Provisionally titled Once Upon A Time In Peckham, the sitcom will feature Derek Trotter (pictured right as an ageing mod) as a teenager, with Rodney still in nappies. All sounds like a ropey spin-off doesn’t it? It probably is, but for one slightly interesting fact – the pilot episode is set in the 1960s and follows Del as he bunks off school and becomes a mod. Writer Sullivan is now on the look-out for someone to play young Derek – so if you happen to be around 15, you might be in luck. The rest of us will be looking on in embarassment I expect when the show gets round to airing.